berlin is exciting. diverse. amazing. and every man and his dog want to at least visit it once. 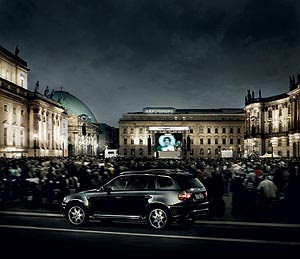 if you belong to those people, BMW now gives you a chance to win a weekend in berlin staying at Hotel de Rome, one of the fanciest hotels in town. and like that's not good enough, they're throwing in the fabulous BMW X3 that could for example take you to the tr�s chic concept store The Corner, where you get to invest 1000� in a new wardrobe. my kind of weekend, i dare say. how to take part? easy... simply click here and sign up. good luck!